Good News!!! 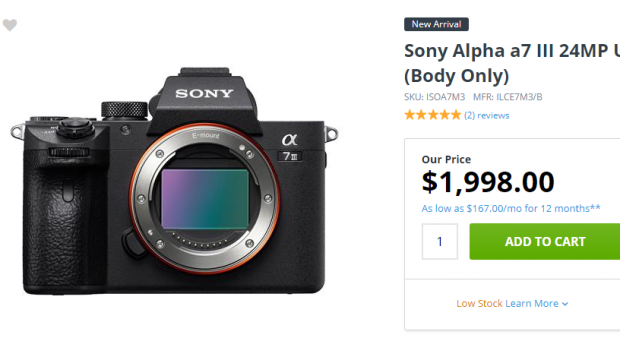 The newly announced Sony Alpha a7 III Body is now first in stock at Adorama! Coming with Free Expedited Shipping. Note: it is in low stock! Hurry up folks!